Public elementary school (Grades K-6) located in Taipei City with around 100 students across Grades K-4 and growing fast. 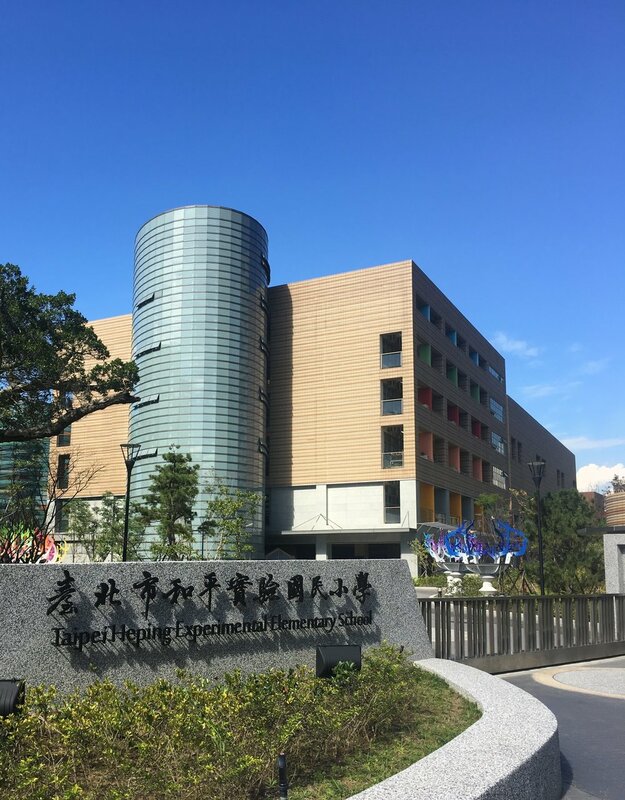 As a relatively new school, the theme-based curriculum focuses on health/fitness, emotional well-being, and learning self-sufficiency, while using the project-based instruction method rather than the traditional subject-based approach, which is the norm in Taiwan’s education system. Alongside core courses such as Mandarin and Math (mandated by the Taiwan Education Ministry), the school program includes grade-based themes that fall under 3 groupings: Fit for Life, Social Responsibility, and Experience Design. The theme-based courses allow students to learn through exploration, inquiry, and experience, guided by teachers and driven by student initiative. Sky Kids students have the unique opportunity to join Grades 1-4 classes for one week in April and June. This is a fully immersive Mandarin learning opportunity in a live local school and classroom setting. Spaces are limited to 3 students per grade per week. *Field Trip: Offsite activity to be confirmed based on number of visiting students. Possible options include art studio visit + activity, Taipei Zoo tour, etc.